What is the Ring Spotlight Cam Battery? For most people keeping your home secure is a real and primary concern. More so with today’s home filled with thousands of pounds worth of quickly pocketable gadgets such as iPhones and tablets that are often worth more than the obligatory big screen TV. Thankfully, whilst technology has created these high value easy to steal gadgets, it has also kept pace with solutions to ensure your home is secure and monitored at all times. Whether that be a basic £30 IP camera to a top end monitored CCTV system, there are solutions for all budgets and all requirements. Our next review item is from another of Amazon's recent acquisitions, Ring. Their range of security solutions includes the innovative Video Doorbell that we reviewed as the original and updated versions of back in 2017. Their products allow you to keep an eye on your home wherever you are in the world and even speak to someone that may be at your front door even though you may be sitting on a beach thousands of miles away. Following on from our review in March of Ring’s Floodlight Cam, we now have for review their new Spotlight Cam. Retailing at £199 it is a smaller device but still includes most of the features of the £249 Floodlight Cam such as 1080 HD video, motion detection and spotlights, but with the added benefit of being battery powered so a professional installation is no longer required. Read on to see how this fares in our tests. As we experienced with previous Ring products, this £199 Spotlight Cam includes everything in the box that you will need to install and setup the device. From the screwdriver, fixings, mounting bracket and even a couple of Ring warning stickers it’s all there ready. Plus, with the Spotlight Cam being battery powered, you won’t need to get one of those rarely available electricians to professionally install it. The Spotlight Cam is available in both white and black and whilst we didn’t have a problem with the Floodlight Cam’s design, it wasn’t the most compact with the two huge floodlights on either side nor was it the most aesthetically pleasing, especially in the white version. Here with the Spotlight Cam it is a far smaller device. Gone are the two huge floodlights, this time they are integrated into the camera unit itself which is very similar in size to just the camera unit of the Floodlight cam, so a much more pleasing and less intrusive design. If you choose the black version, you would barely notice it at all. The camera is Full HD 1080P with a 140° wide angle lens and 270° field of view for the 700 lumens light and motion detection. It includes night vision, two-way audio so you can shout at intruders should any appear plus a very loud 110 dB alarm. The Wi-Fi is 802.11 b/g/n at 2.4Ghz only. It is fully weather resistant as you would expect for an outdoor device and providing climate change isn’t too drastic should comfortably cope with the operating range of between -28°C to 50°C. The warranty is for two years and as with all the Ring products we have reviewed so far, lifetime theft protection is included. A nice touch with the Spotlight Cam is that the battery compartment can take two batteries. You only get one in the box, but to double the battery life you can add a second battery at a cost of £19.99. Ring have certainly got the installation and setup of their devices down to a tee. As mentioned previously everything (save for a drill if you are fitting it to masonry) is included in the box. The included bracket is secured by four screws which the camera then fits into a rotary style adjusting mount. 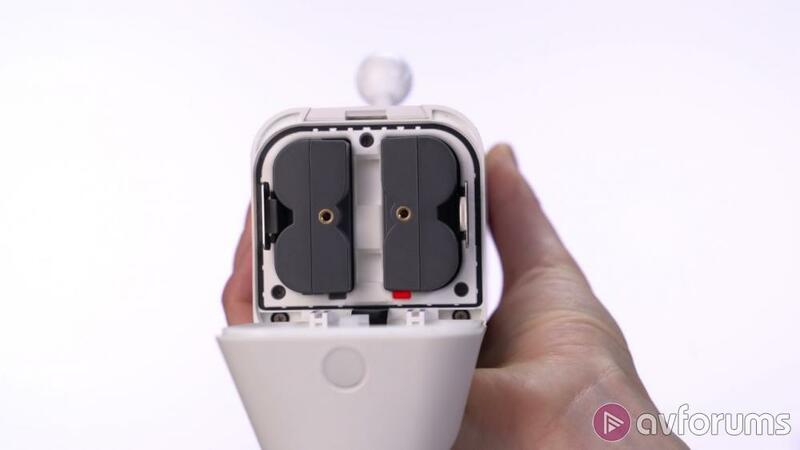 Once the bracket is in place, you simply insert the battery into the compartment and then continue the camera setup via the App, which is available on iOS, Google Play, Mac and Windows. The Ring App is very easy to use and at the time of writing has just been updated to give an improved layout and UI. Just follow the simple instructions to connect the Spotlight Cam to your Wi-Fi or optional Chime Pro and within a couple of minutes it will all be setup and ready to use. The main view for the Spotlight Cam within the app shows you the battery health and a quick button to activate the motion alerts. You then have the Live View option, from inside which you will find quick access to activate the alarm and spotlights. Other options are the event history, device health which shows battery percentage and network signal strength, linked chimes and motion snooze. Also found from this main view are the motion settings. Here you can set up a schedule if you want motion alerts disabling at a certain time of day. This is highly configurable and can be setup for any day or several days right down to just a 15-minute window. Another setting is the Smart Alerts which can be changed from light, standard or frequent. This controls how the motion alerts are identified to save you having repeated notifications for the same movement. The final setting is the motion zones themselves. 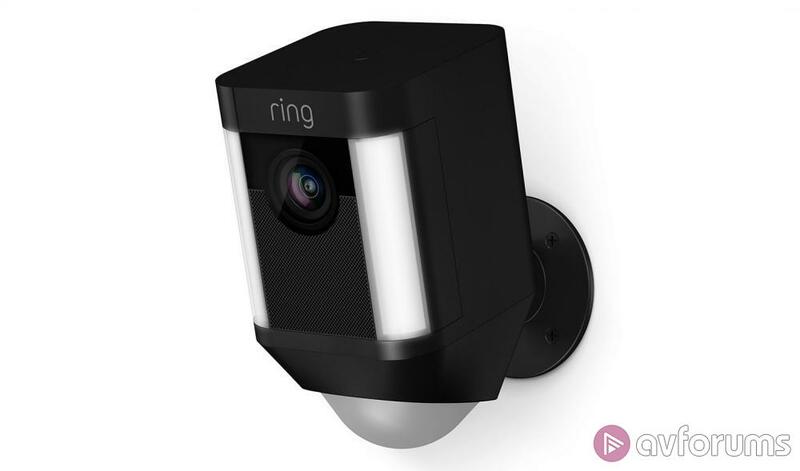 Disappointingly, and quite a strange move by Ring, this doesn’t have the same motion zone and light setting options as with the Floodlight Cam. With that device you could draw an area on the camera’s current view where you wanted motion to be detected from and set up motion zones just for the lights and a schedule when you wanted the lights to come on. Instead with the Spotlight Cam you just have three motion zones which you can turn on or off, alter the distance of the detection and simply an option to have the lights on or off when motion is detected at night. We are not sure why the options are different for what must be the same core technology, hopefully Ring may enable the same options in the future. It must be stated that to get the very best out of Ring’s products, a strong Wi-Fi signal at the location where you are fitting the device is highly recommended. The Video Doorbells we reviewed did have issues with a weak signal such as causing delays in receiving notifications or video. The Floodlight Cam wasn’t as bad although it did suffer from recording issues with a weak signal where you would only get 10 seconds of the recording and then a black screen. Here with the Spotlight Cam, it appears to follow this theme. We tested it with a both a weak and strong signal and found that in ideal conditions, notifications were instant and video could be viewed immediately but with a weaker signal, whilst notifications were instant, there was a delay in connecting to view the video. If you have a strong Wi-Fi signal where you are planning to locate this device then you won’t have issues, if you do not then you may need to improve your home network before purchasing a device that you won’t be able to get the best out of. 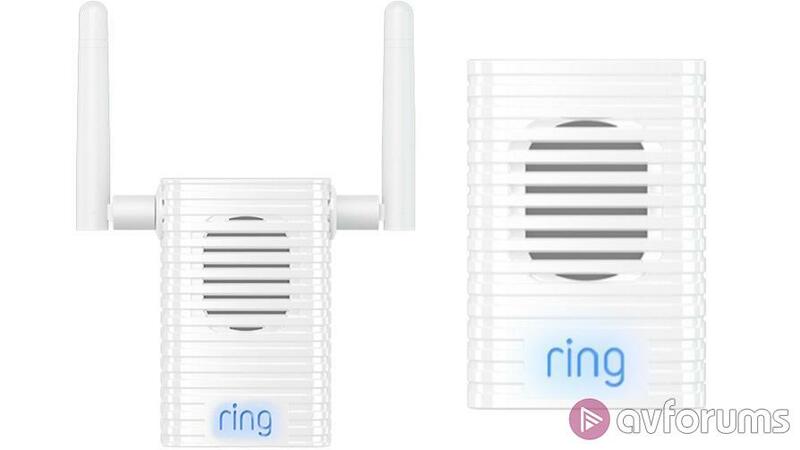 Unlike with previous Ring products we have reviewed, we had no issues at any time with the device forgetting or losing the Wi-Fi network connection. Even when the unit was completely dead following a flat battery, when the recharged battery was fitted it reconnected itself to the network. This is a big positive if you plan on having the Spotlight Cam mounted high up out of reach, but don’t make it too inaccessible as you will need to access it to recharge the battery! The battery life as you would expect is heavily dependent on the amount of motion detection events and videos recorded. We tested it in a very high traffic area with notifications and videos recorded every few minutes and the battery lasted just over a week. If you have notifications disabled during the day when you are at home, or if it will be activated very infrequently then the battery life should be good for several months. Once motion is detected you immediately get a notification on your Smartphone and your Apple Watch if you have one. Touching the notification on your Smartphone will take you straight to the App and the live view will start playing. Within here you then have the option of activating the two-way talk, the siren and the spot lights if required. If you don’t see the notification immediately, the recorded video will be in your event history although it does take a couple of minutes before it appears to view back. You can of course go straight to live view if you have missed it anyway. The 1080P Full HD camera gives a decent quality clear and bright recording which allows for details and faces to be easily identifiable. The spotlights are bright although are only 700 lumens so not in the same league as the Floodlight Cam’s 3000 lumens. As with the previous Ring devices, you do occasionally get short 1 second pixilation and video breakup issues, but this appeared to be the exception rather than the norm. We also had no issues with black screen recordings or only the first 10-15 seconds being recorded as we had with the Floodlight cam. The audio is good enough to hear the necessary but does have a background static noise to it and is affected by wind too. 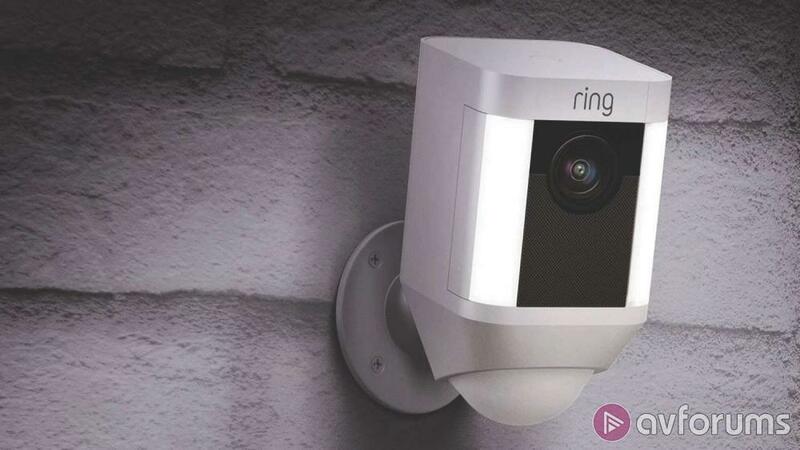 The Spotlight Cam includes a 30-day free trial of Ring’s cloud storage and video recording service. Once this 30-day trial has expired you will need to purchase one of Ring’s Protect plans to ensure the service continues. You will still be able to access the live view and receive detection notifications, but no videos will be recorded. There are two Protect Plans available. For £25 per year (or £2.50 a month) the ‘Protect Basic’ plan is for one camera only and gives you all the Cloud storage features. The ‘Protect Plus’ plan at £80 per year (or £8 a month) is for unlimited cameras, includes a lifetime warranty should the device be damaged or stolen and gives you a 10% discount on purchases at Ring.com. If your Wi-Fi network is not up to scratch at the location you would like the Spotlight Cam to be installed at, optional Chime Pro may be a solution. At £49 this acts as a Wi-Fi extender (for Ring devices only) and indoor chime. It simply plugs into the mains and should help to ensure the signal is of a high enough quality to prevent any issues such as late notifications or video recording problems. The Spotlight Cam has an RRP of £199 and can be found for £20-30 less if you shop around. 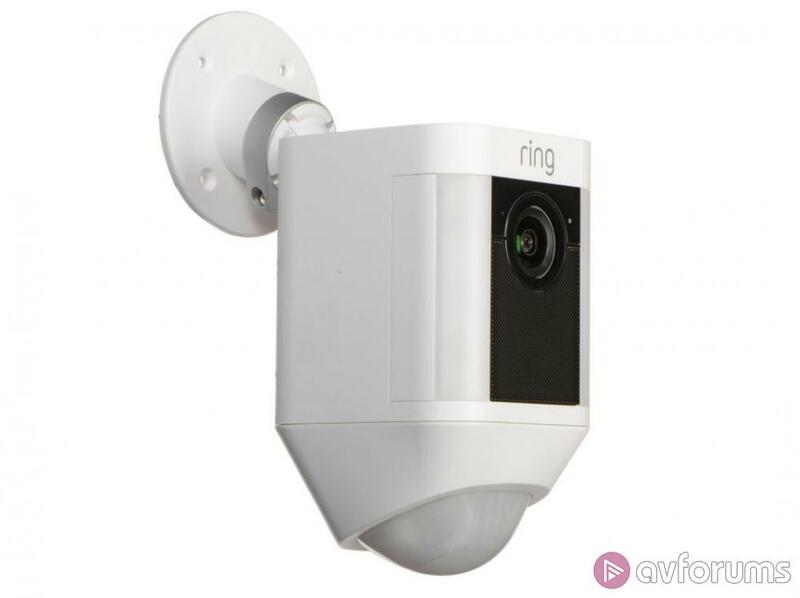 We found this to be another impressive Ring product offering great build quality, a much more pleasing and less intrusive design than the Floodlight Cam and offering an excellent set of features such as the Full HD 1080P recording, two-way talk, night vision, spotlights and the 110dB siren to ward off any intruders. The installation and setup was quick and the Ring app is very easy to use and navigate with a good set of configuration options and a pleasing UI. Notifications and video playback were almost instant. One negative we did come across was that the motion detection options are not as advanced as with the Floodlight Cam. A strange move, one which we hope will be rectified in the future. A strong Wi-Fi signal is again required to get the best out of it, but unlike with previous Ring devices we had no annoying issues with the device losing the Wi-Fi connection, even with a completely flat battery. 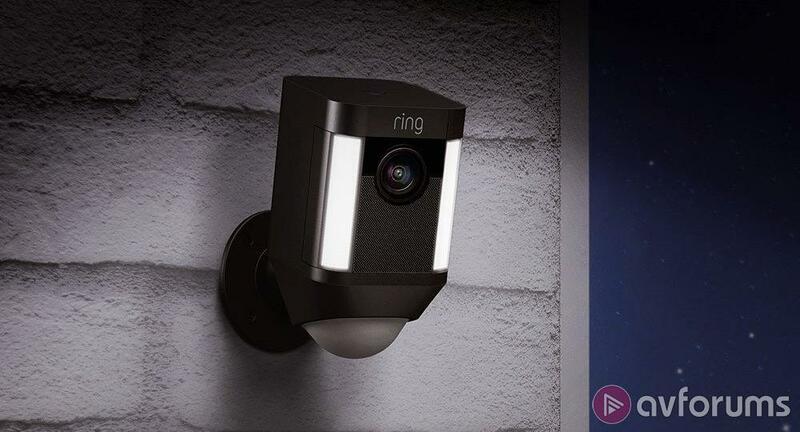 With all the positives the Ring Spotlight Cam is another worthy winner of our AVForums Recommended award. It’s not perfect, but it does what it sets out to do very well. 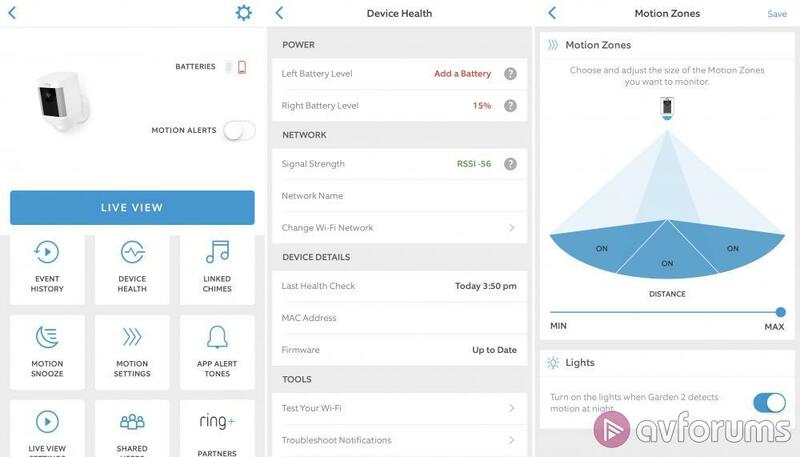 Write your Ring Spotlight Cam Battery Smart Home Product review.